Ah, the balanced life. We’ve all heard of it and may even know someone we think has achieved it. It’s an enviable place where work, family, and self are all perfectly balanced. In this idealized life, jobs are satisfying without invading on personal time, plus there is time for exercise and hobbies…and family…and sleep. Does that balance seem attainable or laughably out of reach? For most of us, the lack of balance in our life comes from the inability to equally distribute our energy to everything that needs us. Family needs your attention, so work suffers. Work is demanding, so family suffers. Work and family demand all your attention, so your self-care suffers. In this article, we will go over some basic tips that can help you work toward that mythic balance. You may be surprised at how simple and yet effective they can be. Are you tired? Burnt out? Do you feel you’re expending too much energy in some areas and left with too little in others? The first step to enacting any real change is to have an honest look at the big picture. You will never be able to be everywhere and do everything your life demands. However, you can see things more clearly by stepping back. The more you can identify the problems, the easier it will be to make a conscious choice to fix them. You don’t want this pursuit of balance to be as ephemeral as your New Year’s resolutions, which are often abandoned by February. To make real change, you need to be constantly rebalancing. Creating real balance and change in your life will not be a quick fix, but rather a shift in how you view situations and divide up your time and focus. This is not a crash diet to drop weight fast, this is a lifestyle change. But how? The good thing is, by looking at your life and determining it is unbalanced and you are ready to change are good first steps. The next is setting realistic goals for every aspect of your life that needs attention. These goals can be simple, like endeavoring to go to bed an hour earlier, paying off a debt, or more complicated like repairing a marriage. Once you have goals in place, break the large goal into smaller checkpoints. The lack of checkpoints is often why resolutions fail. Quitting smoking is a great goal, but you may need smaller victories to get there, like cutting down to half a pack a day, or skip smoke breaks at work and start chewing gum, etc. Smaller checkpoint goals help us feel like we are making real progress toward something, and if you fall back a few steps it doesn’t feel like the whole attempt was a failure. Start small with attainable checkpoints to get your momentum going. Change can be scary. Humans are creatures of habit, even when the habits are bad for us. Studies show it takes us 20 years or more to develop our adult behaviors. [i] Undoing two decades of ingrained behavior will not be as easy as snapping fingers. You want to change but you still may find yourself hitting a wall. That wall is often built out of fear. A good start is to remind yourself that the imbalance in your life is unsustainable. That something has got to give. Another reminder is that while humans are creatures of habit, we also are extremely adaptable. You will never be able to do everything and spin every plate. But you can get more balance by changing your goals and prioritizing what is most important. Do you need to check your work email at your child’s play? An expensive purchase could instead go toward paying down debt or saving for a vacation. Taking a moment for yourself and finding breathing space will help to approach challenges with clarity. Finding a little time to rest and regroup will help find the balance. Like putting on your oxygen mask first before helping others on a flight, your overall health and happiness have to come first. One of the biggest challenges for the busy and overextended is saying no. It’s scary to say no and we fear disappointing others or experiencing professional repercussions. The reality is, we can’t do everything and being unbalanced and overburdened causes stress. Stress is bad for us, it causes all manner of physical and mental issues. It makes it hard to sleep, causes stomach problems, fatigue, depression. Stress causes us to self-medicate by over or undereating, by drinking, by not taking care of ourselves. [ii] Living an unbalanced life is stressful, that sensation of always being behind can wear you down. It’s also why enduring a little discomfort to make real change is so worth it. You may not be able to take on as much at work, you may not be able to bake those brownies for the bake sale (store-bought is fine). Learning to say no to the extraneous and saying yes to priorities will help bring balance to your life. Real balance finding time for what you need and cutting what you don’t. 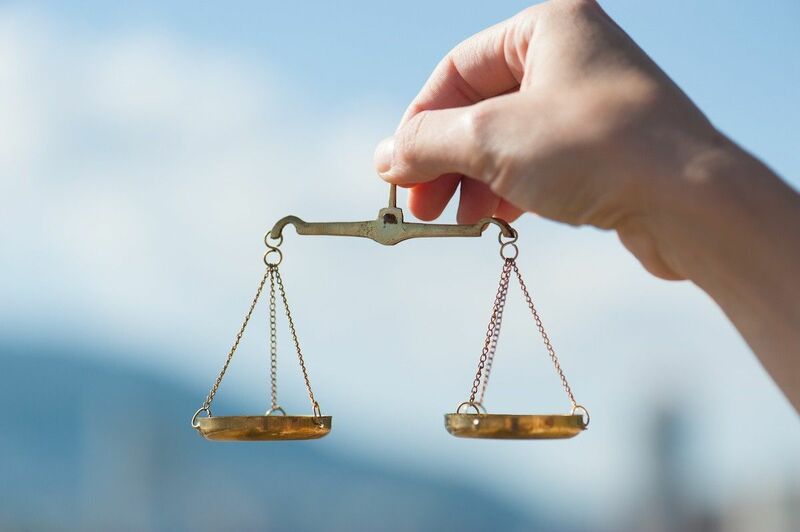 The goal for a balanced life should be viewed as a constant process of evaluating your current situation, identifying opportunities for change, and adjusting to new pressures in your life. Effectively incorporating these tips can provide a roadmap for success. In the meantime, identify the most important balls in your life and build strategies to keep them safely in the air while you juggle through life. Kathy Longo brings over 25 years of expertise and experience to Flourish Wealth Management. Kathy is wholly dedicated to improving the life of each client and finds joy in making complex matters simple and easy to understand. She excels at asking the right questions, uncovering new possibilities and implementing the most advantageous strategies for success. Playing such a pivotal role in her clients’ lives remains an honor and a privilege. After earning a degree in Financial Planning and Counseling from Purdue University, she began her career at a small firm in Palatine, Illinois where she worked directly with clients while learning to build a viable, client-centric business. Over the years, she gained extensive knowledge and wisdom working as a wealth manager, financial planner, firm manager and business owner at notable, various sized companies in both Chicago and Minneapolis. Congratulations to Nicole Swanson for earning the CFP® designation!